For starters, I can’t take the fantastical seriously. I know Shakespeare’s audience could and did, but witches, fairies and magic really turn me off (no, I don’t like the Dream, either!) But, a minor detail, perhaps. I can see the tragic flaw – ambition – in Macbeth, but for me the witches’ prophecies remove any autonomy of character and turn him into a plaything of fate in a way which doesn’t happen with other tragic heroes. He’s in the toils of evil forces right from the beginning of the play, before I’ve really seen anything about him that I can actually like or admire. So, when I reach the end of the play and Macduff enters bearing the tyrant’s head, there’s no feeling of pity or terror, no sense of catharsis. When I taught Macbeth, mainly for the completely unlamented SATs tests, sadly, I had to endure several grim performances of the play, none of which in any way countered my dislike of it. I’m hoping that this May the RSC will perhaps make me feel differently. As I shall be away on the actual day – 23 April – of the 400th anniversary of Shakespeare’s death, I’ll write something a little early. This piece will be more about my encounters with him, rather than anything academic. I’ve lived longer than Shakespeare did: I still have the set of commemorative stamps issued to mark his 400th birthday in 1964, at a time when I collected stamps but knew nothing about our greatest writer. Before I first read any of his plays – as preparation for O level English Literature – I remember I had the feeling that he would be dull, difficult and boring. I was introduced to live performance while at school, too. The wonderful new – at that time – Nottingham Playhouse, with its ground-breaking revolving stage, had only just opened. I remember seeing a wonderful performance of A Midsummer Night’s Dream – a play I’ve little time for – there, and also Ian McKellen‘s first Hamlet. Obviously I went on to study more Shakespeare at A level – King Lear and Othello – and then at university, where I had the thrill of attending lectures by the great Kenneth Muir, who could stroll around the lecture theatre and reel off any quotation from any play that his train of thought required – just like that… And then I went on to teach Shakespeare to my students for many years. Now, in retirement, I’m a student again, not a teacher, as each year I head off for a week deep in the Oxfordshire countryside to spend a week looking at three plays – usually two by Shakespeare and one by a contemporary – and then heading off to Stratford to see them at the RSC. There’s good company, and one of the course leaders is the Shakespearean actor Jane Lapotaire, who explores the plays from performance perspectives and is always very illuminating; one thing I did relatively little of as a teacher was drama. 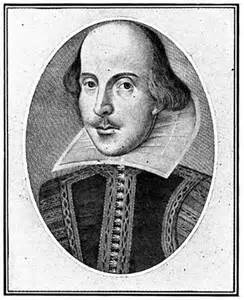 Though it can be hard sometimes to separate the brilliance from the bardolatry, my love of the richness of our wonderful language and its myriad possibilities does firmly convince me that in Shakespeare’s works is something very special indeed in our literary history and culture.